Greenbelt has been awarded 3 Stars : “Highly Commended” by A Greener Festival for our efforts to create an environmentally friendly and sustainable event in 2017. We’re one of only three UK festivals to achieve this standard and it’s a step up from our previous rating. Festivals from 12 countries participated in the award in 2017 and had to undergo a rigorous assessment, site visit and post-event analysis of their event’s sustainability actions. We were assessed on 11 key areas including transport, waste, power, water and local area impacts. 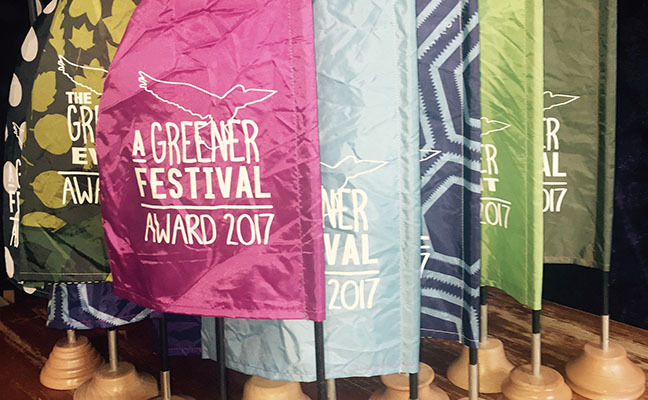 “We are thrilled to receive the Highly Commended Award from A Greener Festival, as it recognises and celebrates all the hard work that is put in to run Greenbelt in as sustainable a way as possible. Building a festival site in a sustainable way takes lots of thought and planning throughout the year and involves everyone, from staff to suppliers, volunteers to the production crew. 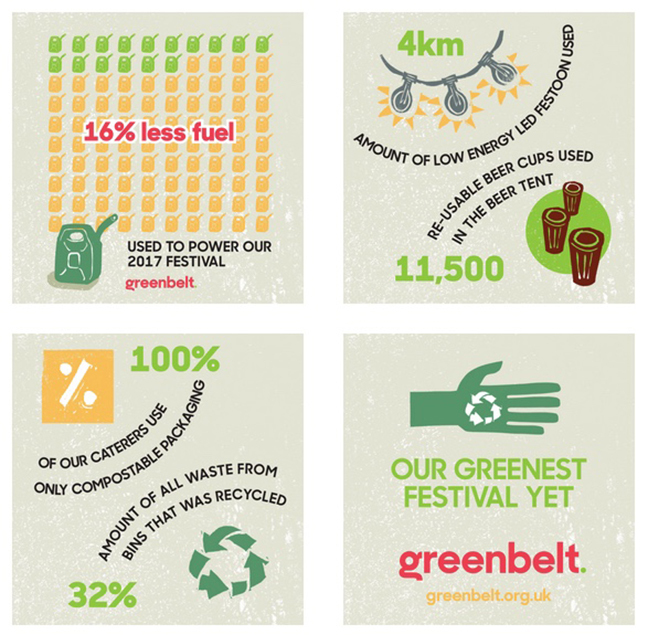 As well as working hard to reduce the amount of power used to run Greenbelt, we have a wide range of other things we do to make the festival as green as possible. These include all caterers using only compostable packaging and cutlery, all cups in the beer tent being re-usable, all our signage and decor being designed in a way that it can be used for multiple years or re-purposed, and using local suppliers to reduce the distance equipment travels to our site. Thank you for helping to make this happen. We couldn’t do it without your help.